LodgeCraft builds and sells a wide range of Cabin and Lodge Furnishings. To help educate and clarify our terminology, we have composed a list of relevant terms we use regularly when describing our styles, construction techniques, finish options, etc. We are always adding to the home furnishings glossary, so if you find a term that you feel would be beneficial, please suggest it and we will review for consideration. We make every effort to give you all of the relevant information you need for an exceptional buying experience. After all, we have been in business for over 24 years, and have volumes of referrals from homeowners, property managers, real estate agents and hospitality managers! A Accent Furniture Any piece of furniture placed to add decoration to a room or to complement another piece (or pieces) of furniture. Accent furniture may be placed simply for aesthetics or the piece may serve a practical purpose, such as an accent chest may store items such as blankets. LodgeCraft carries many styles of cabin and lodge furniture accents in our showrooms and online. 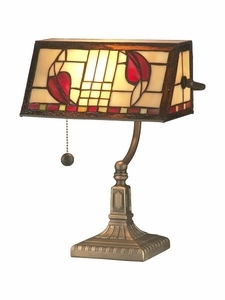 Accent Lamp A lamp used for a specific spot that you want to enhance by style or design or simply to add more light. Usually a smaller light. See our collection of Rustic Table Lamps, including bear, moose, distressed and more styles of lodge lighting. Accessory Non-furniture items that decorate and enhance a room. Typical examples include vases, art, books, sculptures, florals and planters. Adirondack Chair Often made of red or white cedar that is rot and insect resistant. Often found around lodges, pools, outdoor areas. 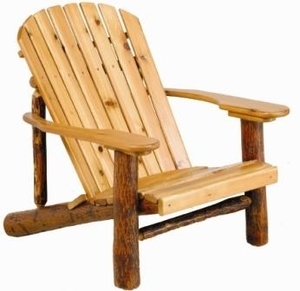 LodgeCraft carries several styles of cedar Adirondack Chairs for your cabin. 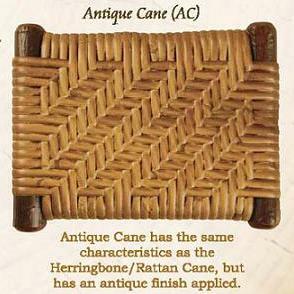 Antique Cane Weave Standard 3/8" herringbone cane with dark walnut antique finish. LodgeCraft carries Old Hickory Furniture, which uses Antique Weave Cane, for many of their seated options on hickory chairs, barstools, and more of their hickory lodge furniture. 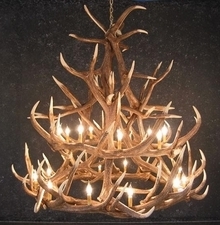 Antler Either faux or natural shed, many lighting fixtures are made with antlers. Table and floor lamps plus a variety of chandeliers. Also, drawer pulls on many styles of our lodge furniture are made from antler. 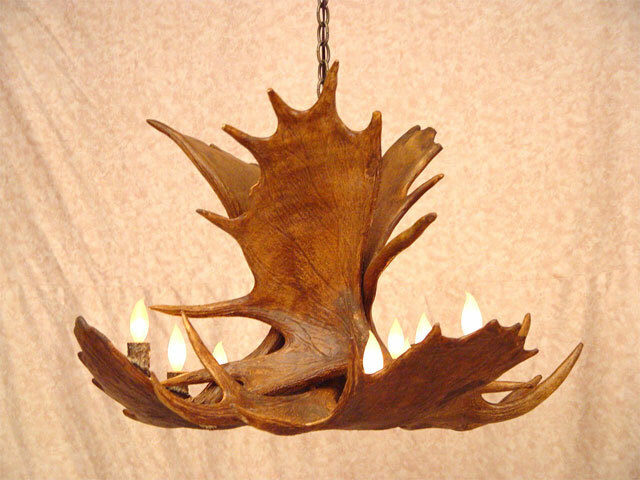 Offering everything from Moose and Elk antler chadeliers, to Deer antler table lamps, see our entire collection of Antler Lighting. Area Rug A rug intended to cover a limited area of a floor. Area rugs come in a variety of different materials, including wool, leather, silk and more. We sell a range up to 9' x 12'. The larger size needs to be truck freighted in most instances. See our entire collection of Lodge Area Rugs . Arm Chair Usually sitting at the head and foot of a dining table the arm chair allows for a bit more comfort in sitting. They are not usually pulled all the way into a table. LodgeCraft has a nice selection of rustic and Lodge Style Dining Chairs and arm chairs, in log, and barnwood styles. Armoire A tall storage cupboard with interior shelves and two large doors. Originally used for storing clothes and linens, but often used today as an entertainment center. Another name for a tall, wide wardrobe usually having two large doors behind which clothes can be hung or stored. 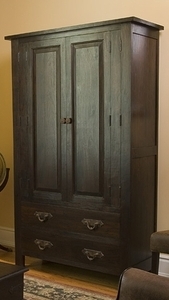 Armoires originated in France where they were used for the storage of armor. We carry several rustic and lodge style Armoires, made from the finest rustic components to ensure beauty and durability. Arts & Crafts A style popular from the 1890s through the 1910s, characterized by sturdy, simple construction, clean lines, and minimal embellishments. 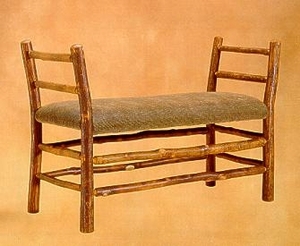 Also known as Mission style, it was a contrary alternative to the highly ornate furniture of the Victorian era. Arts & Crafts Furniture Straight classic lines of furniture usually crafted from oak and sometimes cherry wood. LodgeCraft carries two beautiful lines of Arts & Crafts Mission Furniture, this is a nice complement to your typical lodge and cabin furniture. 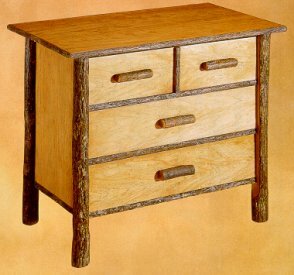 Aspen Furniture Aspen grows naturally in many parts of the country. The furniture usually has interesting curves and detail characteristic to the species. Has a soft warm finish. 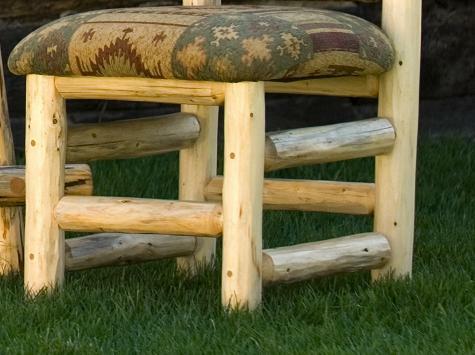 We carry several lines of Aspen Log Furniture, from Colorado and Utah. Each displays beautiful wood characteristics and workmanship you have come to expect from LodgeCraft and are as unique as the Aspen they are made from. B Bachelor's Chest A short chest of drawers popular during the 18th century, traditionally with a slide that pulls out for writing. 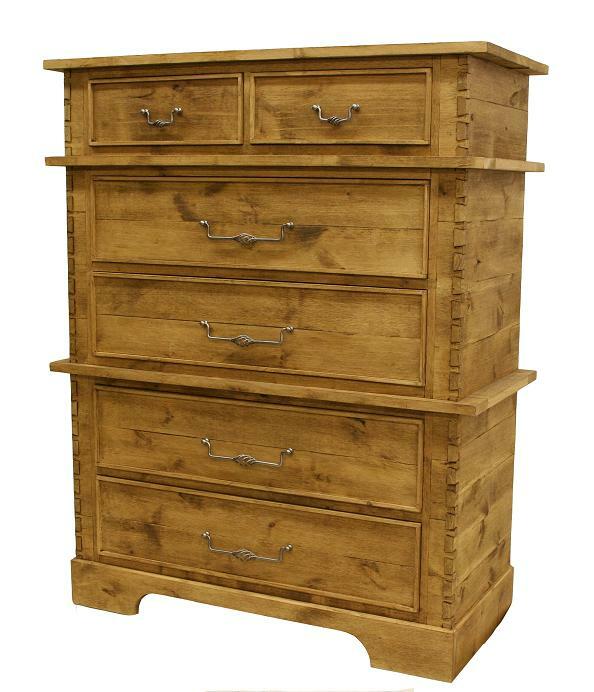 We carry the Old Hickory Bachelor's Chest in the standard hickory style and the Phoenix style chest too. Bar Stool Available in a variety of heights, either for a counter stool, bar, or bistro area. 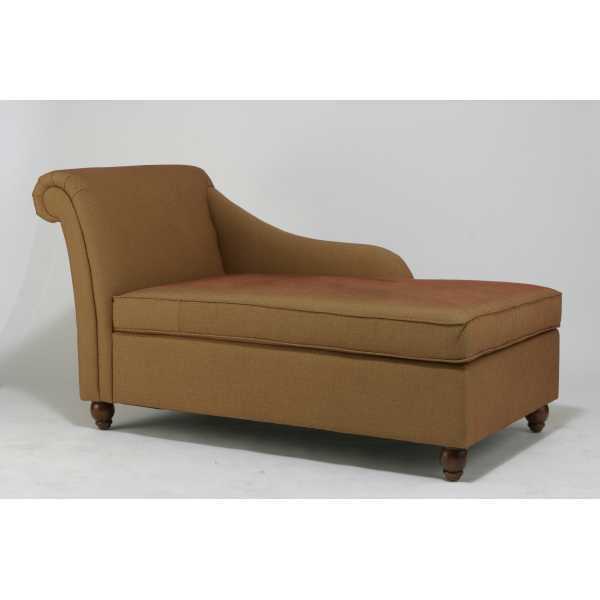 Can be a plain seat, upholstered, have a back and arms or just a back. 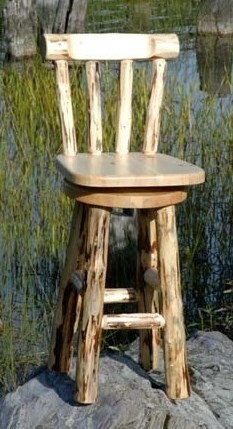 LodgeCraft carries a wide selection of Rustic Bar Stools, of hickory, pine, barnwood, oak and more. 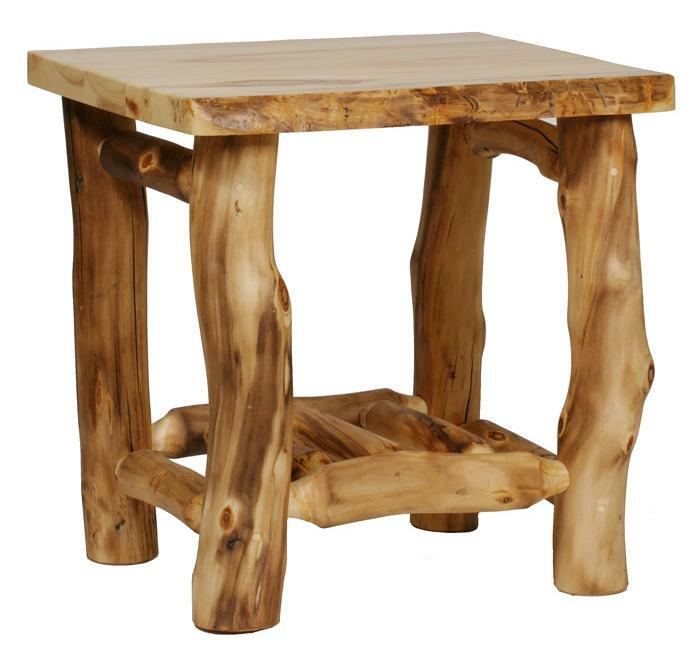 Barnwood Furniture The nostalgic feeling of using a piece of repurposed or reclaimed wood has made barnwood furniture go to the top of the list for a desirous piece. Fireside Lodge actually dismantles old red oak barns around the country and recrafts them into lovely historic pieces. 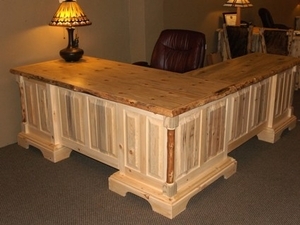 LodgeCraft carries serveral lines of Barn Wood Furniture, from builders in Minnesota, Utah and Colorado. Beds Day, twin, full, queen or king there are beds for every need. 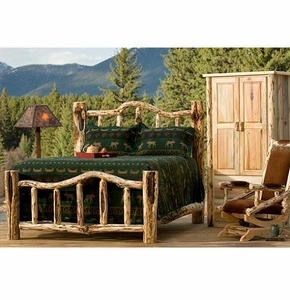 LodgeCraft carries rustic and Lodge Beds, made from pine, hickory, reclaimed oak, alder, aspen and more. 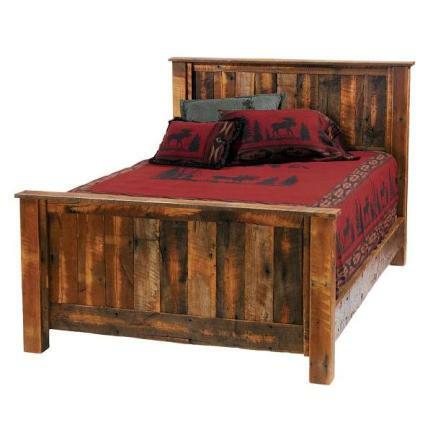 We have one of the best online selections of rustic beds! Bed Set Bedding ensembles which could include duvet sets, comforters, quilts sets etc. Often elaborated with numerous throw pillows and other accessories or as simple as a covering and two shams. 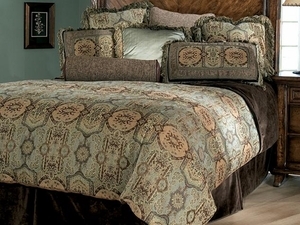 We carry many styles of bed sets, from quilt sets and blanket sets to Rustic Bed Sets that are Made in America. Bedding Linens such as comforters, sheets, pillow cases, bedskirts and shams are called "Bedding" or "Bed Linens". Quilts and blankets put on a bed for warmth are also considered bedding. See our complete offerings of Rustic Bedding. Bedroom Furniture Furniture sets that are placed in your bedroom such as bed, dresser, chest of drawers, and nightstand. 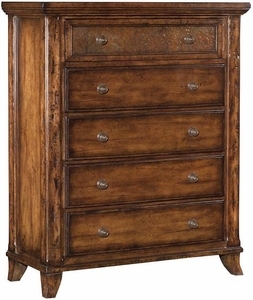 Some bedroom furniture collections even come with an armoire, chiffonier, or storage chest. Depending on your preference, you may choose contemporary, traditional or transitional styled bedrooms. LodgeCraft carries a large selection of lodge and Rustic Bedrooom Furniture, in pine, oak, barn wood, hickory and more. Benches Often used at the end of a bed, in a mud room or foyer, or often beside a dining table to allow more seating. Can be wooden seat or upholstered, can be backed or backless. Benches are also used in outdoor settings. 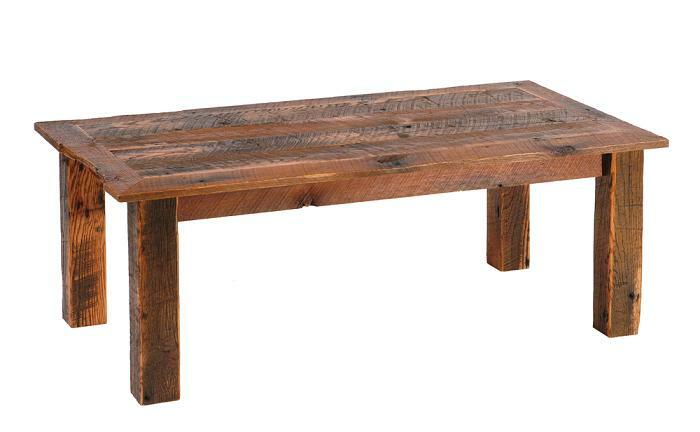 See our complete line of rustic and lodge Benches. 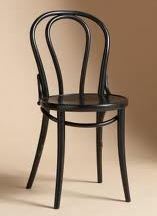 Bentwood A style of furniture made by steaming wood, bending it into the desired shape, and allowing it to harden. Often used in the construction of chairs, rocking chairs, and other light pieces, the process was developed by Michael Thonet in the mid-1800s. At LodgeCraft, Bentwood is the name of one of our Mission style furniture producers. Billiard Lamp An overhead light hanging from the ceiling with ample light to see the game area below. Often a combination of two or three lights. These are also called island lights and can be used over work areas. 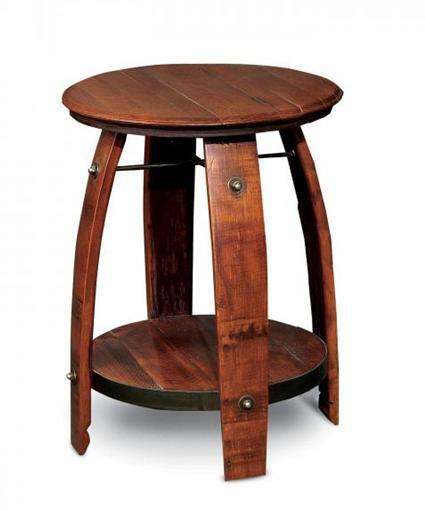 Bistro Table A small high table to either stand beside or sit by with a bistro height stool. Usually the size for two to four individuals. These are popular at night spots but are being used more and more often for casual dining. 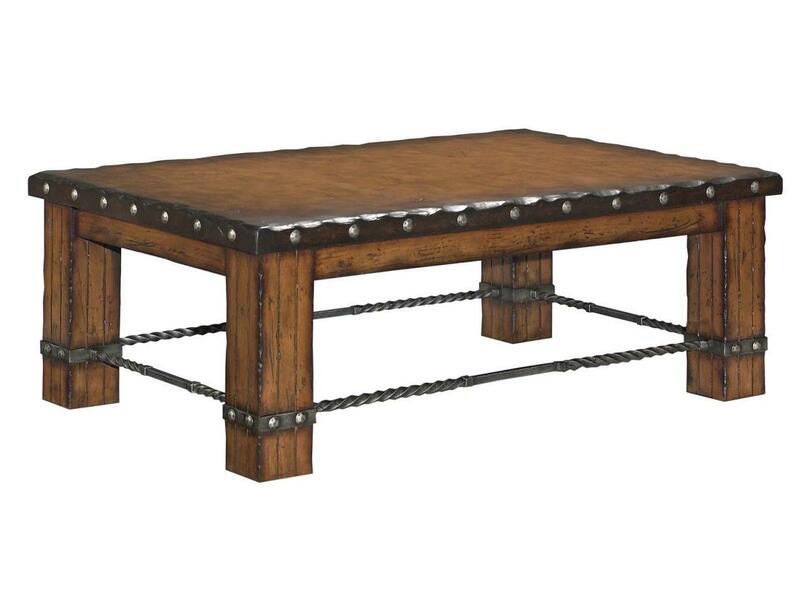 We carry a wide selection of lodge dining tables and Rustic Bistro Tables. Blanket Chest A low box-like check designed for storing blankets often having a hinged top and a drawer near the base. 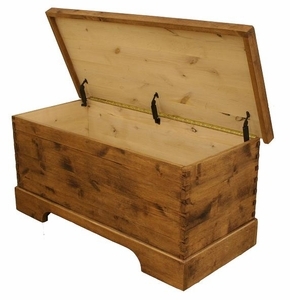 LodgeCraft carries several types of Blanket Boxes, from alder to reclaimed barn wood styles. Bookcase Any storage case with two to five or more shelves for storing books and or special collections. These can be stand alone or built in units. Bookcases come in all shapes and sizes. The can have adjustable shelving or fixed shelves. 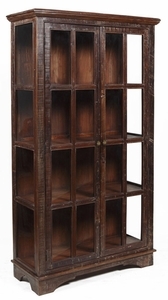 We offer a some of the finest hickory, pine, reclaimed bookcases and more styles of Bookcases. Breakfront A tall cabinet often used for storing china. Usually consists of three vertical sections but can be any configuration. Very popular at the turn of the century (19th to 20th). Buffet A large cupboard popular throughout the 1500s and 1600s, most often used for display and storage of cutlery, dinnerware and serving pieces. Buffets come in many styles and combinations, multiple door and drawer combinations with and without glass and varying heights are just a few options. Bunk Bed Two beds that are joined together so that one is placed above the other. Bunk beds are often used in kids rooms and dormitories. Federal safety standards exist for bunk bed ladders and rails which protect children from falling injuries. 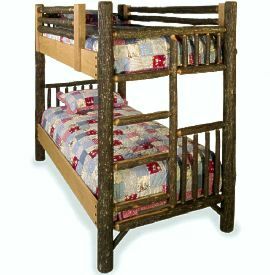 LodgeCraft carries log bunk beds, distressed barn wood bunk beds, and many more styles of Rustic Bunk Beds . C Camelback A sofa back with a protruding central "hump." Typical of the Hepplewhite style. You often see these in leather upholstery. 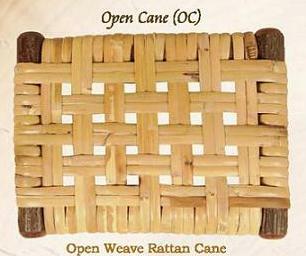 Cane Weave A variety of types of weave using strong rattan cane. The open weave is 3/8" rattan cane. Old Hickory uses Cane Weave in many of their seats and back for chairs, benches and settee's. 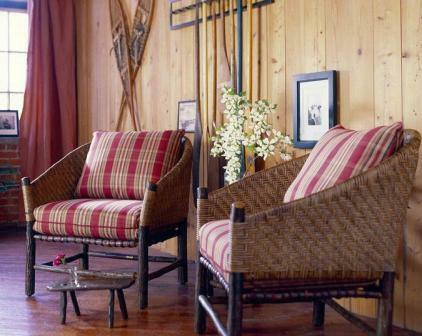 Cane weave displays great character and complements the cabin furniture setting. Canopy Bed Often four posts are connected at the top with rails that fabric is hung from. Other times, a hoop is hung from the ceiling over the bed and the fabric drapes down from the hoop. Originally, they were developed to provide protection from insects but now are more commonly used in a decorative fashion. 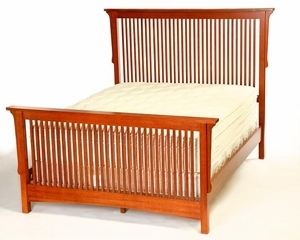 LodgeCraft offers several styles of canopy beds in our Beds offerings. Captain's Chair A chair having a low, curved back with vertical spindles and top rail that comes around to form arms. Often used with a game table. 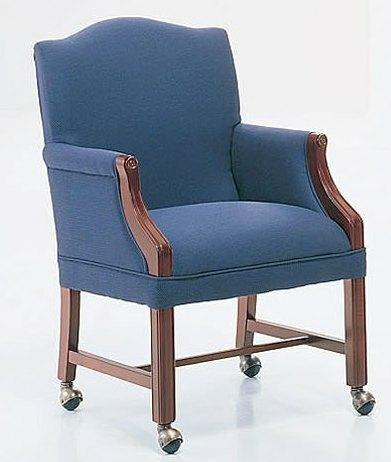 We offer the Old Hickory Captain's Chair, in our Chairs section. Casters Wheels on the bottom of furniture pieces that allow them to be easily moved across the floor. Many of our dining chairs from Old Hickory have the option of casters for a slight upcharge. Ceiling Mount A lamp that is directly wired and hangs from the ceiling. This will often have a metal canopy to hide the wires and add a decorative touch. 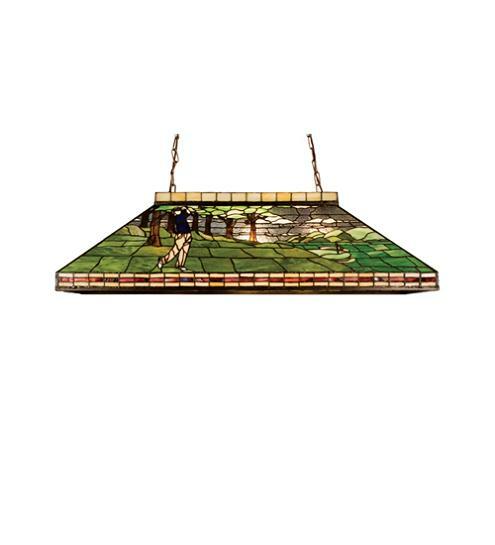 LodgeCraft has an extensive collection of Rustic Ceiling Mounts and a few art glass styles too. Chair A piece of furniture made for a person to comfortably sit on. Usually consists of a seat, legs, back and arms. 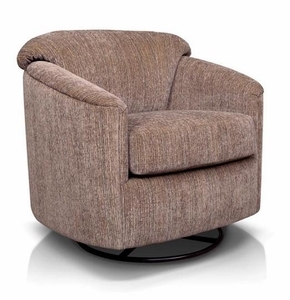 Some types of chairs (such as some dining chairs) do not have arms. LodgeCraft offers Rustic Chairs in log, reclaimed wood, distressed and other rustic styles, with loads of fabric and leather options. Chaise A sofa that has a half-back and only a head end. Chandelier A multiple light fixture that hangs from the ceiling. The variety is extensive, glass, tiffany, rustic, antler, contemporary. 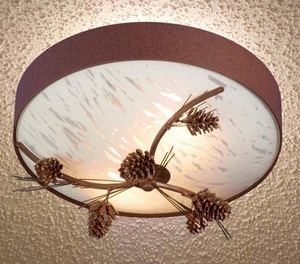 We carry a wide selection of Lodge Chandeliers that are great for your home or cabin. Many of our American Made Chandeliers can be customized to suit your needs. Chest On Chest Primarily English and American 18th and 19th Century pieces composed of two stacked chests of drawers. The upper chest usually being smaller than the lower. See our stacked chests on our rustic Dressers page. Cheval Mirror A full-length, vertical mirror mounted in a frame. 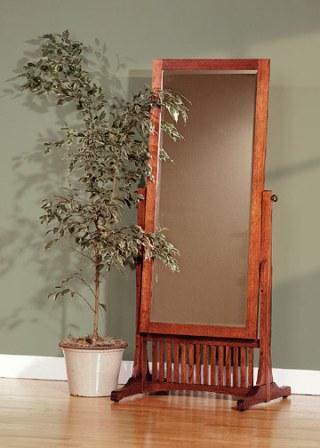 Also referred to as a dressing mirror or cheval glass. These usually swivel. Clean Peel A log that is cleaned of all its exterior bark. With a draw knife you will still see the blade marks but not the bark. Leaves a smoother finish. 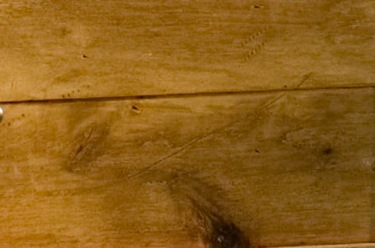 Clean Peel finish is used often for stained log furniture, as it accepts the stain far better. Clock A timepiece that is used for decorative purposes. Most clocks are now without glass but they are at times available with glass. 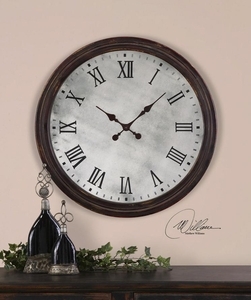 LodgeCraft offers many rustic and lodge style Clocks, typically of the large wall mounted variety. Cocktail Table A short-legged table typically positioned near a sofa or chair grouping, sometimes used for serving. Also known as a coffee table. Often used for informal snacking and dining with use of cushions. 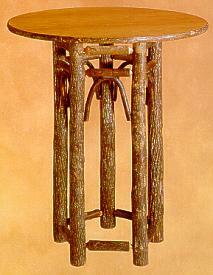 See our lodge style Cocktail Tables. Console Table A long, narrow table usually set against a wall or behind a sofa. May contain a drawer or lower shelf for storage. 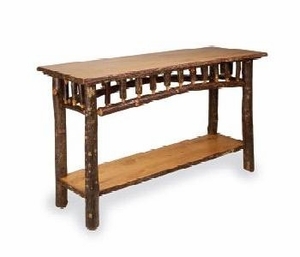 LodgeCraft offers a wide variety of pine, barn wood, hickory and more cabin style Console Tables. Cottage Furniture A casual style of furniture marked by simple lines, turned legs, and painted or decorated surfaces. Especially popular on the East Coast. Credenza A sideboard often placed in the dining room and used to store serving accessories. A credenza desk is often used as a secondary work surface, and usually has shelving, small drawers, and other nooks above the main surface. Credenzas are also used in offices as complementary pieces to desks and book cases. 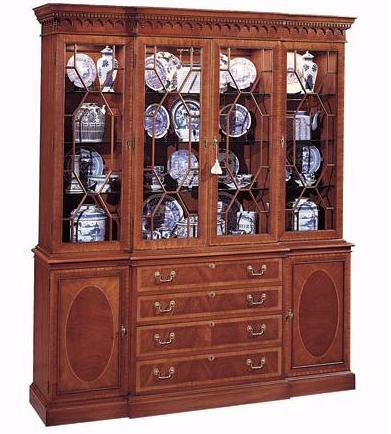 Curio A case piece which has glass doors, panels and shelves, which is used to display collectibles. Derived from "curiosity" cabinet. D Daybed A sofa with head and foot and/or back pieces, having a twin sized mattress that doubles as a sitting and sleeping surface. 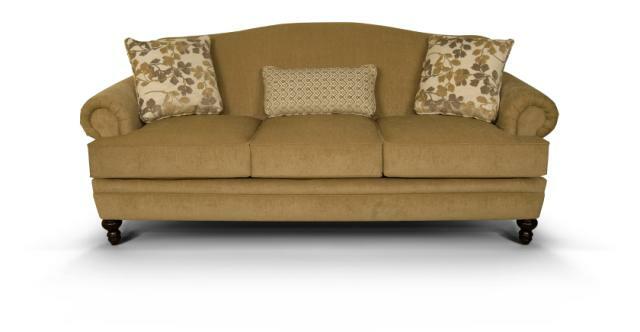 Daybeds often have decorative removable covers and matching pillows or bolsters which act as back rests. 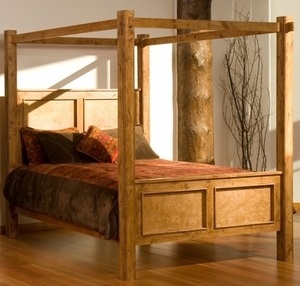 LodgeCraft carries several styles of rustic daybeds within our beds area of the website. Desk A piece of furniture having a broad writing surface as well as drawers or compartments for papers, writing materials, etc. 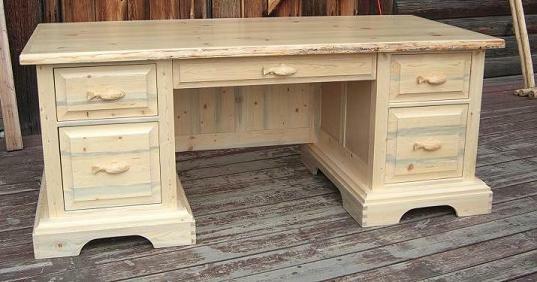 We carry rustic desks in many styles and wood options. Whether your need is the commanding executive desk or a simple writing desk, we have just what you are looking for! Desk Return A piece of furniture hooked adjacent to a desk to provide more storage and writing space. Other office machinery might be placed on the return. Many of our rustic desks come with return options for the left or right side. Dining Chairs A chair usually accompanied by a dining table. 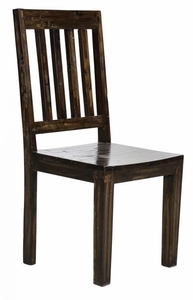 The most popular style of dining chair is the side chair, a chair with a back but no arms. Although the armless chair is most popular for dining, a chair with arms may also be a comfortable alternative. 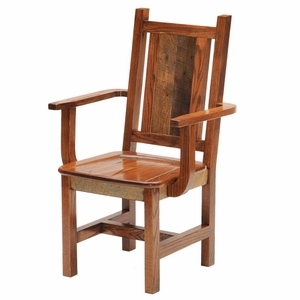 LodgeCraft carries log, barn wood, oak, aspen, pine and many more types of lodge dining chairs. Dining Table A dining table is a table at which meals are served. 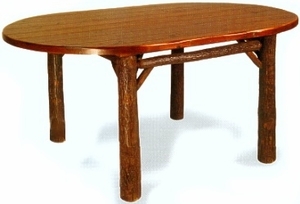 Dining tables have evolved into many different styles and shapes. The most common shapes are square or rectangular and round or oval. Some dining tables have the versatility of additional leaves that can be added or removed from the table to provide for extra space when needed. Dining Room Furniture Sets are often accompanied by matching chairs, buffets, hutches, china cabinets, or a sideboard server. 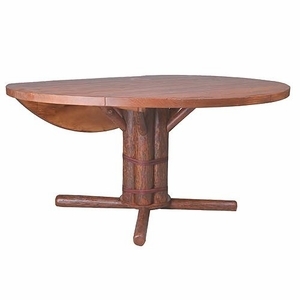 Lodge dining tables come in all shapes, sizes and wood types, and we have an awesome selection. Distressed (or Distressing) The art of making furniture and other household items appear antique or rustic, often by purposely denting or marking them. 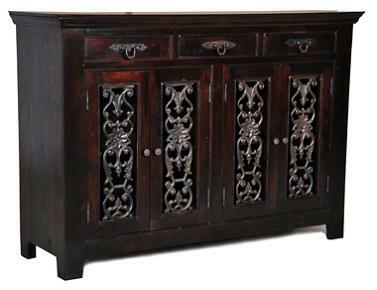 Our LodgeCraft Renaissance is a great example of distressed furniture, Made in Montana! Dovetail A type of joinery using interlocking wedge shapes, often used in drawer construction. One of our more innovative lodge furniture designs features a dovetailed furniture outer cabinet. 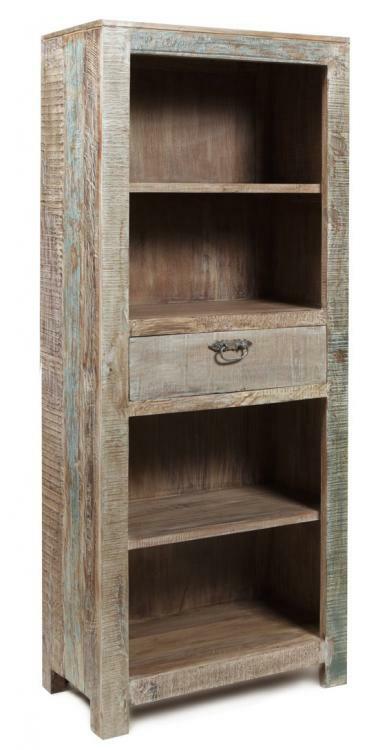 Our unique design features outer edges that are dovetail joined to add total a totally rustic feeling. Dowel A headless wooden pin used to join two pieces of wood together. 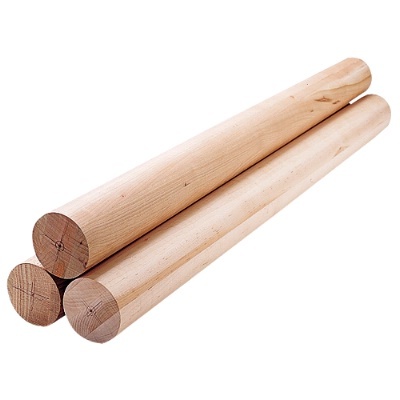 The dowel is inserted into a hole bored into one or both pieces, then glued into place. 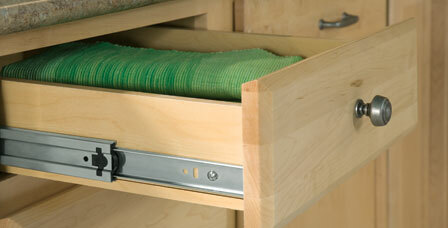 Drawer Slides (or Glides) The tracks or runners along which a drawer moves when being opened or closed. Varieties of guides available include full extension glides, metal ball-bearing glides, metal glides with rollers, and wooden center guides. Some drawer glides are self-closing. Dresser A chest of drawers typically a single stack of drawers, used to store clothing. Dressers are often wide, with two columns of drawers and have a mirror attached. 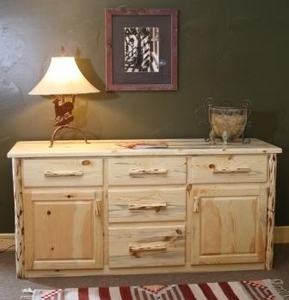 LodgeCraft carries a huge variety of imported and American Made rustic dressers. Drop Leaf A table with a fixed center section and hinged side sections that can be lowered. 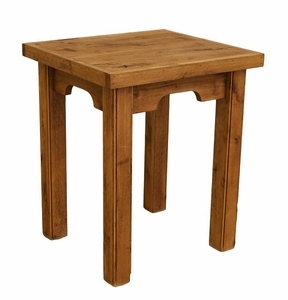 LodgeCraft carries the Old Hickory drop leaf dining tables. 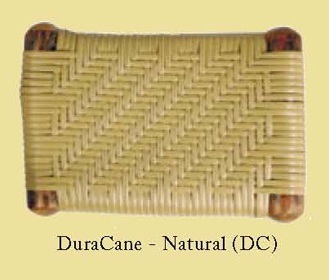 DuraCane This is an environmentally-friendly synthetic cane material that is completely colored throughout, smudge-proof and resistant to temperature variations. 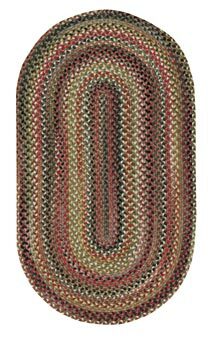 It is handwoven in a herringbone pattern. DuraCane is just one of Old Hickory Furniture's options for outdoor seating. DuraWeave This synthetic strapping has a great rustic appearance. It is completely colored throughout, smudge-proof and resistant to temperature variations. It resembles a vintage weave. 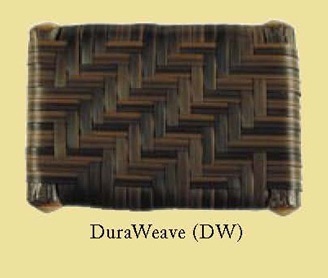 DuraWeave is used on Old Hickory outdoor furniture. Duvet One of the most popular bed coverings a duvet has either a button or zipper closure which opens to allow an insert for fluffiness and for more warmth. It can be used without the insert if desired. Often on high-end bedding. 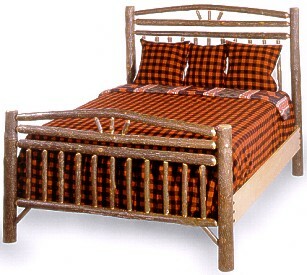 One such example is Berry Creek, which offers American Made Duvets and bed sets in rustic and lodge themes. E Embossing The process of imprinting or stamping a three-dimensional design onto a piece of furniture. Mostly utilized on wooden furniture to lend it the aarance of carving. End Table An end table is commonly found in the living room, at the end of a couch or near a chair. End tables often are a resting place foor books, lamps and other items. LodgeCraft offer a wide selection of nightstands and End Tables in cabin and lodge styles.